Our Original Walking Tour will start on March 30! The daily walk will be leaving 10:30 am from Julia Child Bistro. 4 hours, small groups, informal atmosphere, professional guides. Booking and information http://peterswalk.com/tour/original-peters-walk/. 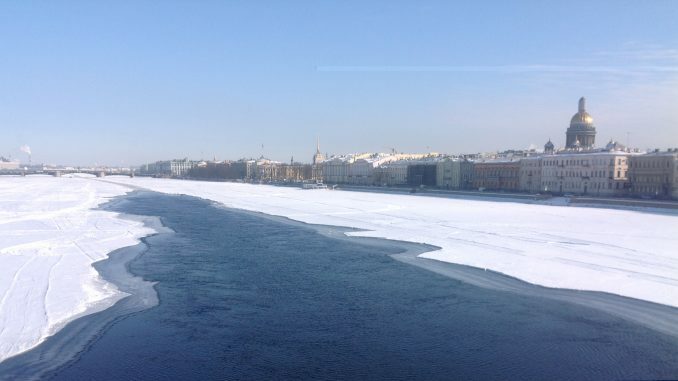 Photo from a walking tour in mid-March: river Neva partially under ice, view of English Embankment and St Isaac’s Cathedral. 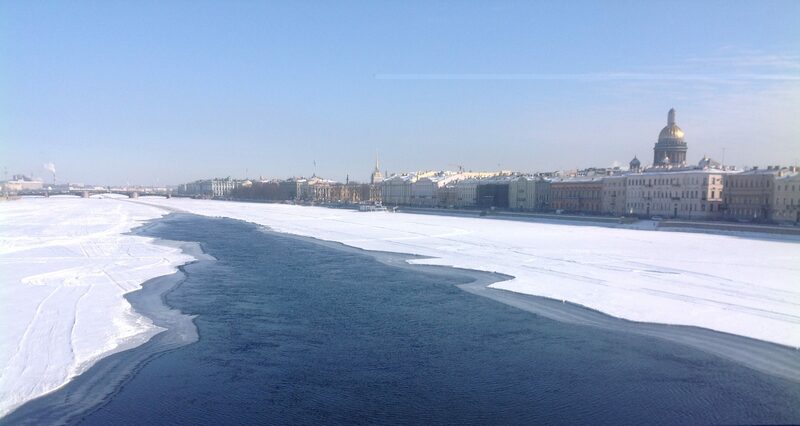 This view from the Blagoveschensky Bridge is often included in our Original Walk.